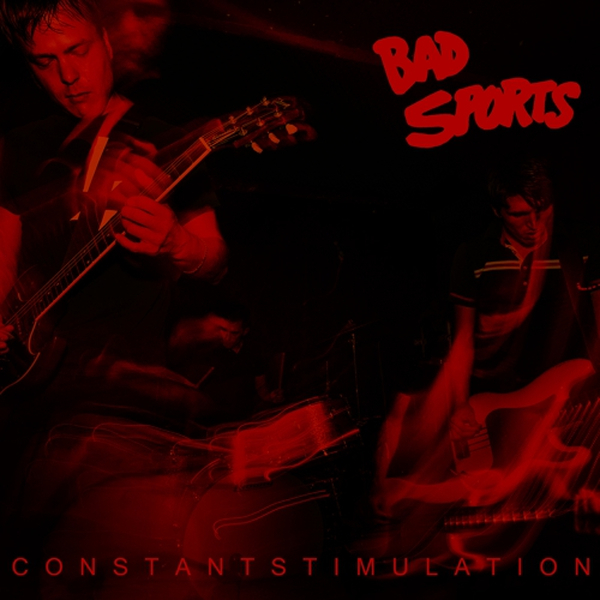 Bad Sports - Constant Stimulation, 19,32 fr. Garage, Power Pop, Proto-Punk, wie auch immer man das nennen will: ein Füllhorn guter SOngs, treibend und melodisch! Die Bad Sports stammen aus der gleichen Szene wie Radioactivity, OBN III, Video, Mind Spiders oder Wax Museums, und das hört man auch! Wer ein Faible hat für Marked Men: reinhören! Texas trio Bad Sports release their fourth full-length to Dirtnap and with it, push their sound into a more modern sphere of punk. Orville Neeley (guitars / vocals), Daniel Fried (bass / vocals) and Gregory Rutherford (drums) have spent over ten years together and this progression is justified. This time, the production quality is more lean and tense, giving an air that is decidedly frustrated, and more world-weary, but is still the great stripped-down classic-leaning punk band with deep power-pop vs. proto-punk undercurrents. They are not a "retro" band, however - Constant Stimulation is simply a timeless-yet-modern masterpiece. The band's history with their Texas peers (OBN IIIs, Radioactivity, Wax Museums, VIDEO, etc) has served them well - they've honed themselves into being a complicated and calculating rock machine with finesse and more care taken to let Neeley?s words and voice ring out - it's as close to "sing-singing" the band has ever come. The record broils and stews over a response to the modern world and its eroding and addling effects, kicking its lyrics out to be heard clearly. No track exemplifies this better than the title track on which Neeley sings, "I need constant stimulation in my ears and in my eyes or I don?t sleep at night?deprivation chambers only worsen my dreams." Maybe this more spaciously spare sound is their response to that veritable constant stimulation. Welcome to the modern age.